Make a Fun Felt Ornament - Add a Personal Note for Gift Giving! 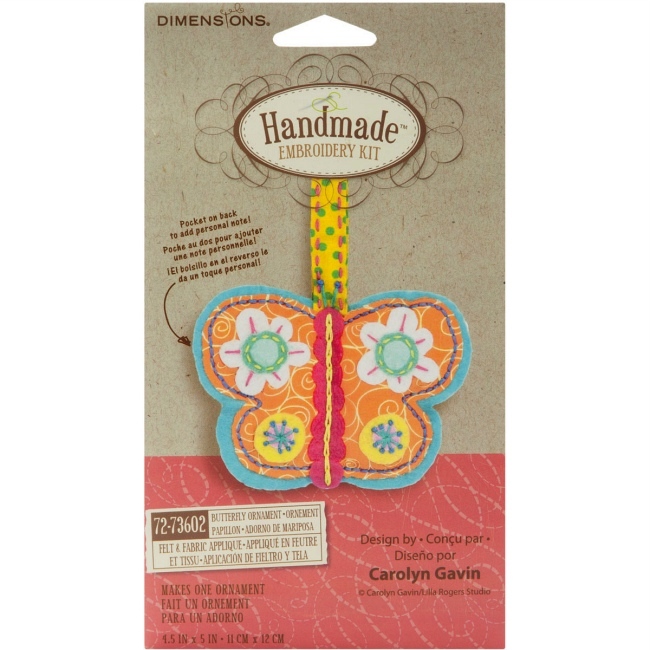 The Butterfly Ornament Hand Embroidery Kit is an easy felt & fabric applique craft kit from Dimensions. Kit includes printed poly/cotton fabric, die-cut polyester felt shapes, presorted cotton thread, polyester stuffing, needle, and instructions. Everything you need to make one teacup ornament. Ornament size is 4-1/2" x 5". Display as fun decor in your home or at the office. 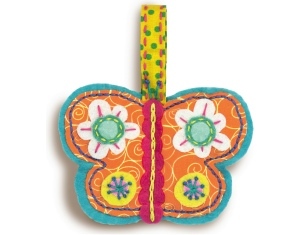 Add a personal note to the pocket on the back of the butterfly and it's perfect for handmade gift giving! Simple stitches & easy instructions make this an ideal hand embroidery kit for beginners and a fun felt craft project for experienced stitchers too!